To what extent should we take into account genetic pre-dispositions when evaluating and responding to other people’s actions? Science has identified two major influences which affect the person you grow to be: nature (your innate qualities and genetics) and nurture (your personal experiences and environment). These two factors play a major role in the upbringing of a human, but to what extent does each contribute to how a person behaves? Many remain polarized on how to factor genetics into our actions and reactions, or whether we should take them into account at all. With opportunities to send off your saliva for genome sequencing, the option to consider genetics when preventing or reacting to behaviors is tempting. Certain courtrooms are beginning to accept defenses citing biomedical explanations about aggression genes, and even toddler tantrums can be dealt with differently according to genetic findings. Do we need to consider genetics before judging or responding to somebody? A recent article from the Wall Street Journal states that environmental sensitivity is directly attributable to genetic factors. These scientists have categorized people into two general groups: the orchids, whose behaviors are much more susceptible to environmental factors, and the dandelions, who are relatively less affected by external factors. These differences in environmental sensitivity are due to variations in genes that regulate dopamine production, such as DRD4. Those who produce less dopamine – the orchids – have a tendency to wilt under stringent and negative conditions and to flourish under stable and positive conditions. According to the data, there was clear-cut evidence that the children with a DRD4 variant were more responsive (i.e. 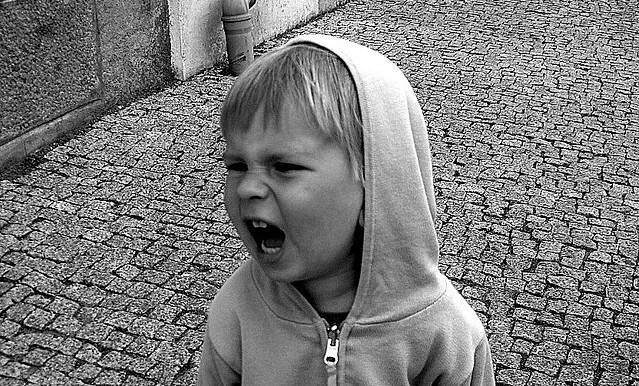 decreased aggression) when exposed to positive changes in parental treatment. This indicates that taking genetics into account can in fact promote better informed responses to behaviors. Yet some scientists question the validity of a genetic predisposition to environmental sensitivity, and others mention confounding factors such as natural variation in people’s genetics or upbringing, among a host of other influences. How much emphasis should we place on genetics when evaluating other’s actions, or responding to them? A recent aggression study using fruit flies may be the start to a deeper understanding of genetic links to aggression and uncontrollable anger; although flies and humans are very different organisms, the study implicates there may be some parallel implications for mammals. NOVA video Criminal Minds: Born or Made? How do genes, brain structure, and the environment interact to create criminals rather than rule-abiding citizens? NOVA explores recent science behind genetic predisposition to violence and aggression. Listen as researcher Peter Miller of National Geographic Magazine explains new research regarding genetics’ role in the shaping of who we are, and the field of epigenetics through the lens of (seemingly) identical twins. This article presents views from a child clinical psychologist and a neuroscientist on the link between genetic inheritance and personality. I think that nurture has a greater effect on a child’s behavior because even if they have their parent’s genes they may not be around them as much as their peers and peers sometimes can have a greater influence on a child’s behavior. This is because kids want to fit in and do what is the social norm, and even if their parents tell them that something is wrong or bad if they see their “cool” peers doing it then they may start to believe that it actually is the right thing to do since everyone else is doing it. Also, since a child’s parents come from a different generation the way they behave will be a reflection of the generation they grew up in and it would be the same way for the child. They are going to behave in a way that reflects the social norms of their time, which could be drastically different than their parents if their parents are a great deal older than them. Prev Kid Curator: How To Look at Public Art Next What’s The TPP and Why All the Hubbub at The Democratic National Convention?